his years at South Side High, where he earned All-State and All-America honors as both a football quarterback and basketball guard. He also starred for the track and baseball teams. After graduation Lonnie accepted a scholarship to Colorado State University. After attending a predominantly Africa-American high school, it was culture shock to find he was one of only a dozen or so black students on the Ft. Collins campus. Lonnie made his mark with the Rams on the basketball court, and also as a shot putter. Lonnie set a school record with a throw of 52’ 9” as a freshman. He didn’t play football in college. Lonnie played guard for coach Jim Williams, a legendary figure in Colorado sports. He was part of a team that earned an NCAA tourney berth in 1966—at a time when only 22 schools made the draw. During the summer of 1966, Lonnie was surprised to receive offers to return to the gridiron. He talked with the NFL Cowboys and AFL Broncos, and accepted a deal from Denver. He played defensive back for the team in 1966 and 1967. He had four interceptions for the Broncos in 1967. Meanwhile, the American Basketball Association was gearing up for its first season, essentially doubling the number of pro basketball jobs. Lonnie had been drafted by the NBA Hawks, but did not think seriously about pro hoops with so much football money out there. But the ABA had placed a team in Denver. That was the kind of challenge he was up for. 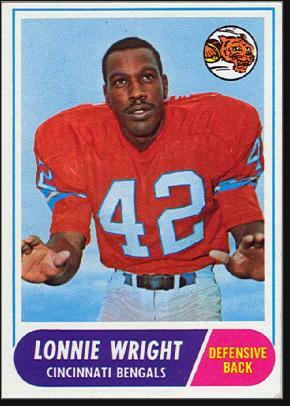 The Denver Rockets signed Lonnie to a deal that kicked in after the AFL season. Lonnie took a couple of weeks off and then hit the hardwood. Lonnie decided to stay with basketball after that, and went to the playoffs three times in four years with the Rockets. He shared the backcourt with All-Star Larry Jones and scored in double-figures most nights. He never went back to football. In 1969, superstar Spencer Haywood joined the team. He had an MVP season at the age of 20 and the Rockets finished first in the West. Their championship dreams ended in the division finals against the L.A. Stars. Denver traded Lonnie to the Miami Floridians during the 1970–71 season. Jones had been traded there the year before, so there was a familiar face in the unfamiliar town. Another player with whom Lonnie was familiar was forward Warren Davis. Davis was a high-school contemporary from South Jersey. Unfortunately, Lonnie was basically a Sixth Man at this point. His knees were failing him and he could no longer take the pounding of 35–40 minutes a night. The 1971–72 season with the Floridians would be his last. Lonnie returned to Newark after his playing career. He got a job with the University of Medicine and Dentistry of New Jersey, and eventually rose to the position of Director of Students. In a 2007 interview, Lonnie estimated that more than 1,300 of the kids he had enrolled over four-plus decades had gone on to become doctors and dentists. He passed awat at age 67from heart failure.